Get Your FREE Credit Score Now! If you are buying a home any time soon, you should speak with a FHA lender because they have finance opportunities that may influence your real estate purchase. For years we have been connecting loan applicants with FHA loan lenders that provide affordable home financing for borrowers with all ranges of credit scores. Since the subprime market crashed a few years ago, we have been increasing our government lending power by expanding our finance options with approved FHA loan lenders that specialize in first time home buyer initiatives and alternative lending strategies. No Cost and No Obligation to Apply. FHA loan lenders have been busier than ever because rates have never been lower and conventional lending guidelines have been tightened more than the government loan products. Since our focus has always been connecting consumers with FHA loan lenders, you can imagine how passionate we are about government lending products. If you need a no income mortgage, consider the streamline, because that program does not require income documentation like pay-stubs and W2's. 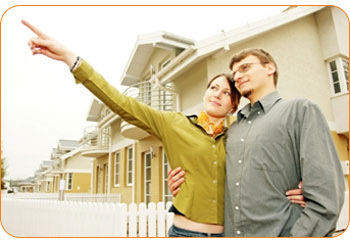 Shop the Best FHA Lenders online! In a recent interview, NAR's chief economist, Lawrence Yun reminded us that FHA loan guarantees are financed with premiums that the lenders charge the borrowers. Although the FHA reserves are at a historic low, it hasn't required a government bailout like the government sponsored enterprises, Fannie Mae and Freddie Mac. Yun continued, "We understand the ideological fight. But right now we need to look at the practical situation."